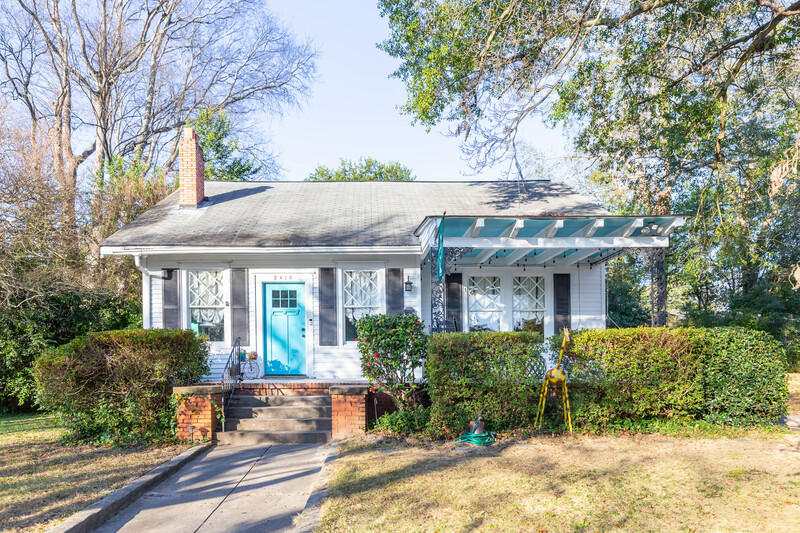 Take a step back into a simpler time at this historic park district home where modern renovations mesh effortlessly w/ original hardwood floors & stunning diamond patterned windows giving you the best of both vintage & chic! A separate 1000 sqft cottage is the perfect in law suite w/ open living space/bedroom, kitchenette area & full bath. This property offers so many possibilities for your lifestyle! Located just minutes to Lakebottom park, TSYS or Uptown this location is unbeatable! The main house offers a living rm that opens to the formal dining & a kitchen you will love w/ a finished butler's pantry, new flooring & more! The main bath has fantastic new finishes: subway tile, double vanity & heated tile floor - perfect for getting the day started! Both the Master bedroom & additional bd are spacious w/ ample storage. The bonus rm has beautiful backyard views that could be another bdrm or office & additional bath. A lush & private backyard is your own hidden escape!